Thank you to everyone who came to waltzed and jived away to the sounds of the organ! Over 100 people turned up. 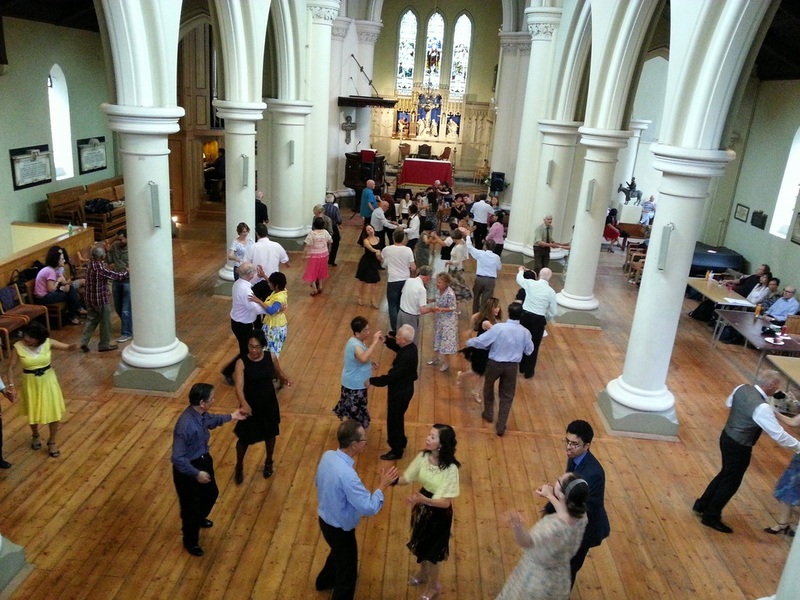 Ballroom dancing to rhythmical music played for the first time ever on the beautifully restored, magnificent church organ, with ballroom drummer accompanying! Put on your glad rags and come and Waltz, Foxtrot, Quick step (including Bus Stops), Rumba, Cha-cha-cha, Tango, Sequence, Viennese Waltz, and also Salsa! All are welcome, from beginner to advanced, all ages. A dance instructor will be available at 1.30pm for free, for anyone who would like to learn basic steps. Come and learn, dance, and have fun! Short talk: Includes a very interesting short talk about the history of dance music played on organs, and demonstrations, and an opportunity to learn about the restored organ at St John’s. Please no floor-marking shoe soles, and flat shoes/low heels preferable for your safety and to protect the varnished floor. The church will be cleared of the benches for the day to allow for lots of room for dancing. Tickets: £7.50 on the door, or £5 in advance. With tea, coffee and light snacks included, and entry into a raffle with prizes. IT IS NOW POSSIBLE TO PURCHASE MULTIPLE TICKETS IN ONE TRANSACTION. Please click on the Buy Now button to the right to purchase them. Tickets are not posted out, instead names are taken and kept on a list at the door - this is to avoid any additional booking fees. Please keep your payment confirmation email as evidence of booking. NB: You do not have to pay via a Paypal account - select 'Pay with a debit or credit card' on the page that pops up after clicking on the Buy Now button. With organ playing extraordinaire Donald MacKenzie, internationally renowned organist, and accompanied by Joe Pearson on ballroom drums.